Of recent after I made update to my Apps, a new feature was spotted in which I personally think It's really an interesting update from Facebook App Developers. 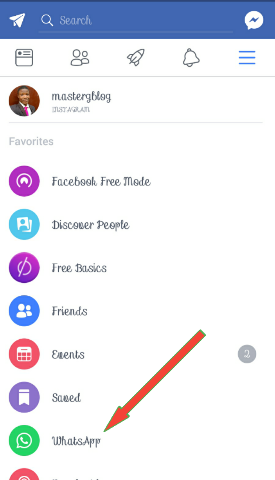 It seen that Facebook had integrated a Whatsapp button into their Facebook app. This button would serve as a shortcut button in the sense that you don’t have to leave or minimize your Facebook App before opening your Whatsapp App. This is somehow easier for most people that connects with their loved ones on both app. This update is available to all Facebook Users, if you haven't seen this feature on your own Facebook App yet!, goto Google Playstore App on your phone and update your Facebook App. What is your say on this new Update?